Concerned about your Honda Civic, or other new Honda model? Honda recommended maintenance suggests that you have your vehicle maintained by factory trained technicians every 5,000, 10,000 and 30,000 miles. 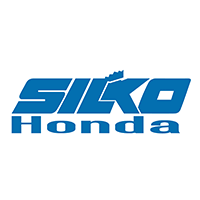 At Silko Honda, our factory trained technicians use only Honda Certified parts, and our service packages are the most affordable in the area. Please check your vehicle’s mileage, and select the incremental maintenance that your vehicle is due for from the list below so you can make the most of Honda recommended maintenance. Still not sure which is best for you? Contact us so we can help you make the best decision for your Taunton driving needs. We work hard to ensure that you have everything you need so you can stay on top of your Honda recommended maintenance.